We welcome small Entrepreneurs to have stalls , for the cost details please contact us . Cost : Rs .150 Per event . 3) Event 3: Throw the Ball (Kid has to take the ball and throw it, whoever throws the ball at longer distance will be the winner). 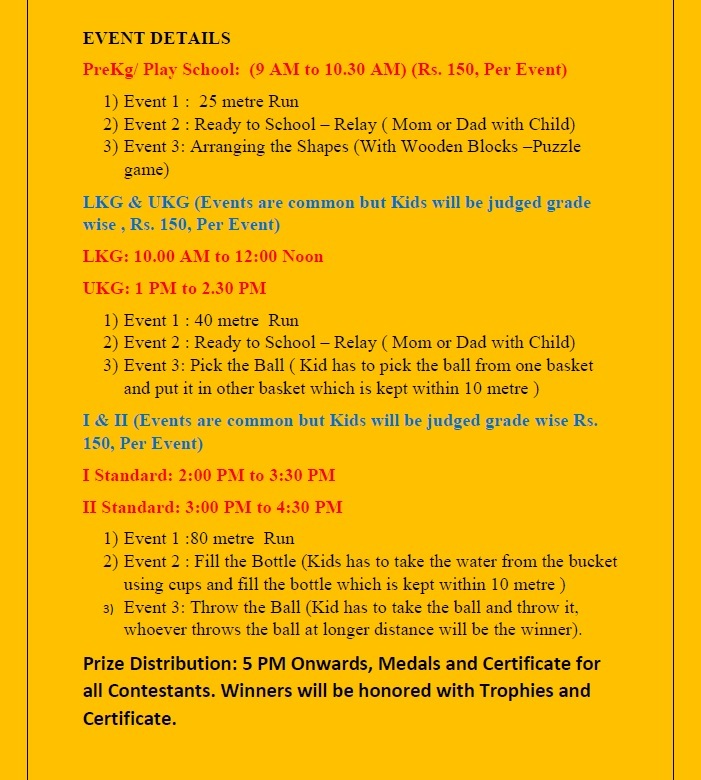 Prize Distribution: 5 PM Onwards, Medals and Certificate for all Participants . 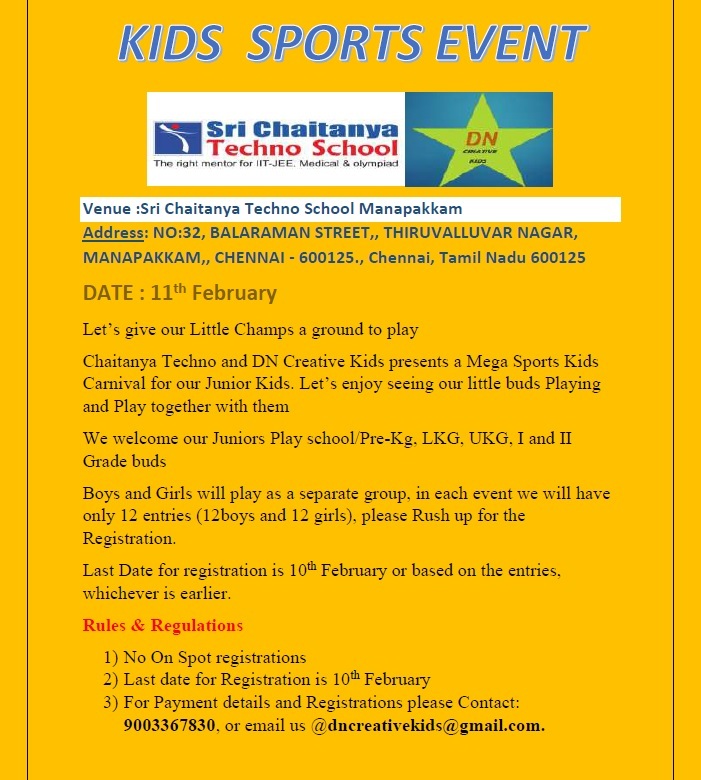 Winners will be honored with Trophies and Certificate.